I’m still working away on the Epheriell Autumn Collection at the moment – it’s only a few weeks away now! 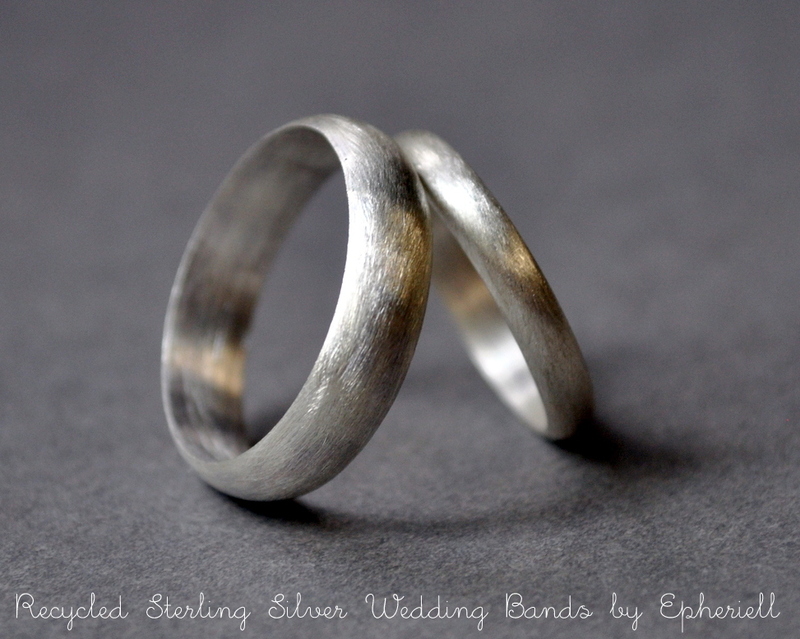 But I wanted to release this set of wedding bands separately, because I am so happy to have them done. 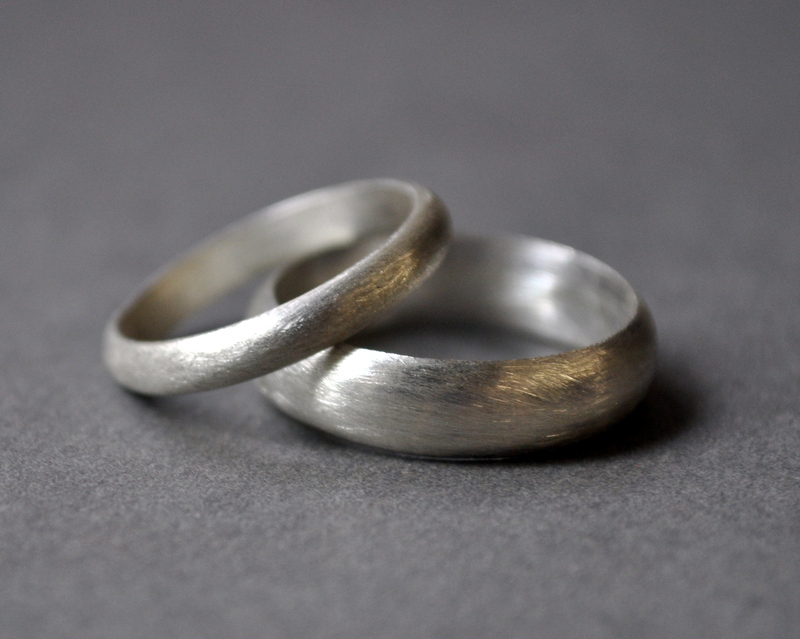 This is a beautiful set of wedding rings made from 100% recycled sterling silver – perfect for the eco-conscious couple. I source my raw sterling silver from an Australian company that harvests silver from old scrap jewellery and industrial applications (like old photographs! Imagine, you’re wearing silver that may have once been part of a photograph, or another beloved piece of jewellery long ago). I’ve given them a brushed, rustic finish in line with that ethos. 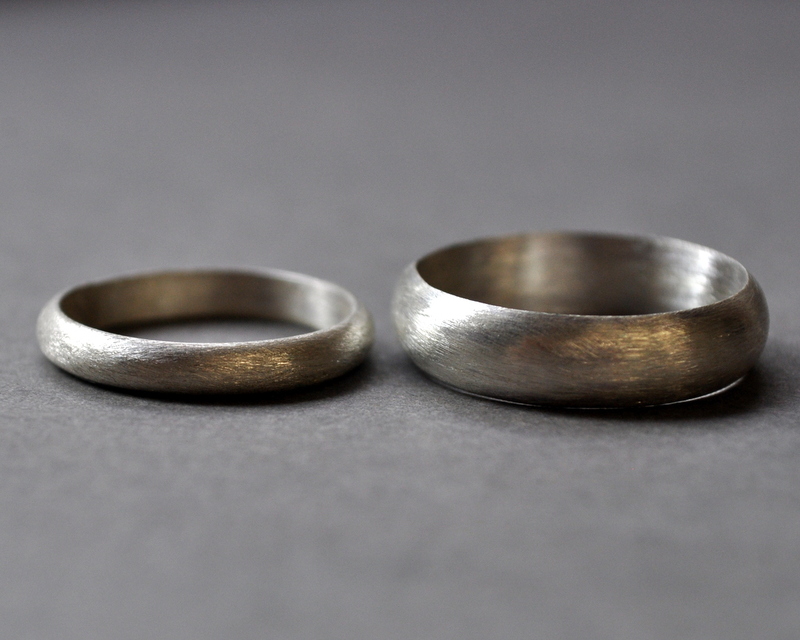 The men’s ring is 5mm wide, and the women’s ring is 3mm wide. I’m so pleased with how they have turned out! 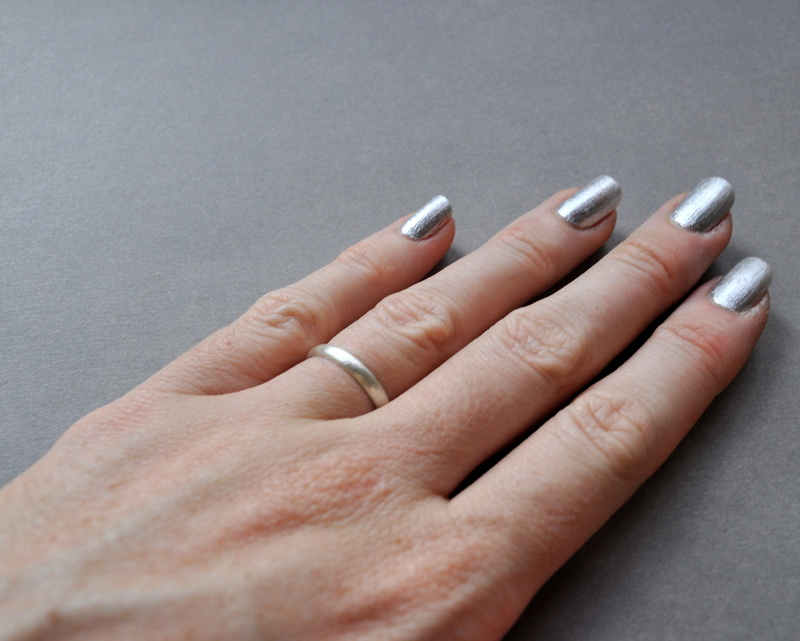 I was inspired to get them done after my recent trip to Asia, where I left my own rather expensive gold + diamond wedding and engagement rings at home, and wore a simple sterling silver ‘holiday’ wedding ring instead. After asking about this on the Epheriell FB page, I realised that it is something that many people do when they go away on holiday – especially to unfamiliar or far away destinations. 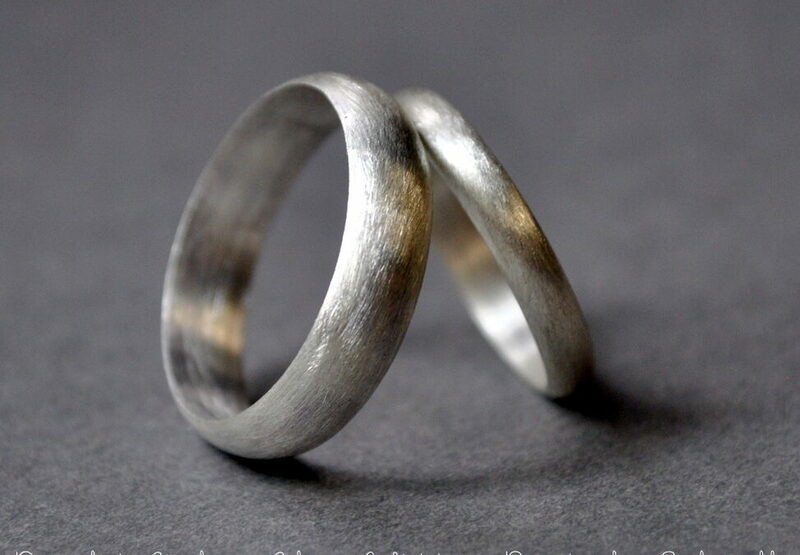 So, my purpose in making these was not only to offer a pair of rings for newlyweds, but also offer a set of ‘holiday’ rings – beautiful but relatively inexpensive rings that you can wear in place of your high-priced gold bands when you go overseas. This first set will now become Nick and my ‘holiday’ rings! 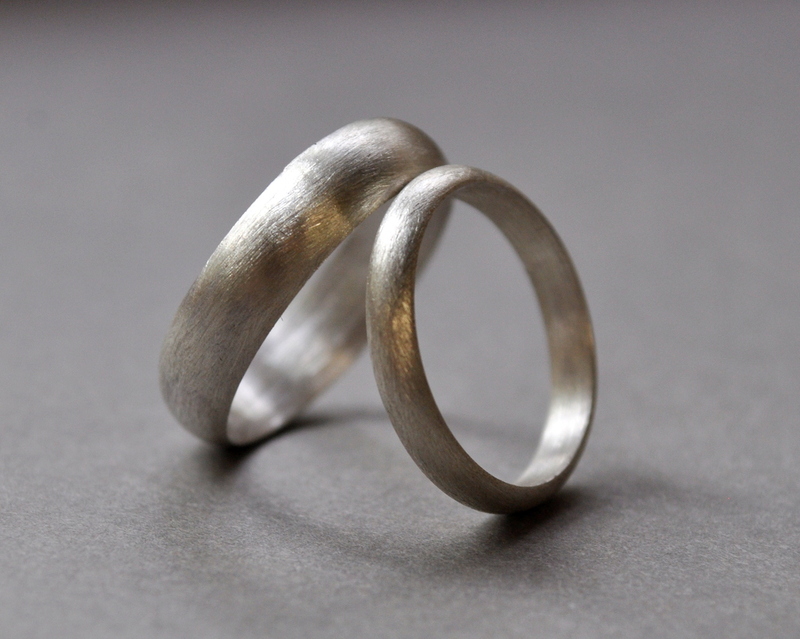 Our own wedding rings are white-gold, and not only are they more expensive than these by many many times, they were also handmade by a dear friend… so there is NO way I want to ever risk losing them. Do you have a set of ‘holiday’ wedding rings? This set is available in both my Epheriell.com store (AUD) and my Etsy store (USD). Each ring is also available separately!